By popular request I’m going to start covering some of my favorite budget beauty tries and buys! For my beauty blogging life I’ve primarily focused on mid to high-end luxury brands but every week I get questions about more affordable options or dupes. I’ve been experimenting more with different brands based on feedback and started testing things I think look interesting. I have some budget beauty items to share with you today of items I feel are worth trying. Prices vary depending on retailer and promos you can find, but at the full retail price, everything is under $20. 1. L’Oreal Voluminous Lash Paradise Waterproof Mascara is hands down my favorite drugstore mascara. It lengthens, volumizes, defines, holds the curl and does not smudge on me. I’ve gone through quite a few tubes of this! Several of you have commented it’s prone to clumping after a few uses. To solve this I take the wand once every other week and run it through a folded piece of paper in the crease to clean it. It does waste a lot of product but I do this with most of my mascaras but it’s the only way I can remove buildup. I have actually tried both the non-waterproof and waterproof versions. I think both are really good. Given the fact that I live in Florida where the humidity is intense, I prefer the waterproof version as a better smudge-proof option. 2. After the success I had with the mascara, I bought the L’Oreal Voluminous Lash Paradise Primer as soon as it launched with high hopes. It was a hit! It works well to prime and condition the lashes. It’s pink tinted so you can see how much you’ve actually applied. The trick with this is to not let it dry down all the way before you add mascara. I apply a coat of mascara almost immediately after I apply the primer and it works like a charm. If I let it dry completely it almost becomes crunchy and mascara doesn’t adhere well. 2. 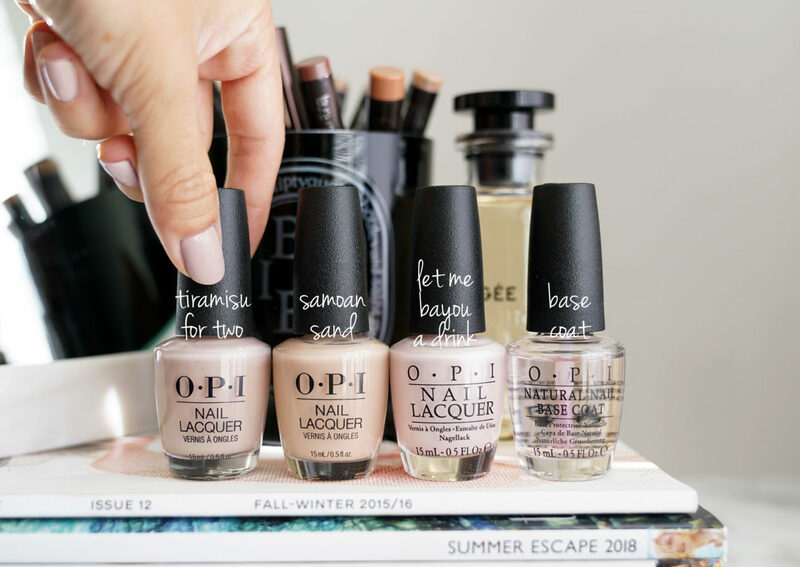 OPI Nail Polishes are my go-to for favorite affordable nail polish brand. I know many others love Essie or Zoya, but for me OPI is the best for lasting power and color. My favorite neutrals are from OPI including Tiramisu for Two, Samoan Sand, Let Me Bayou a Drink and more. I’m going to be putting together an updated neutral nail polish post, but you can see my Favorite Neutrals in this roundup here. I also really like the Natural Nail Base Coat to help protect the nails, prime them for polish and prevent yellowing. 3. Garnier SkinActive Micellar Cleansing Water and Makeup Remover Sensitive and Waterproof are great micellar cleansing waters. I really love the ones from Lancome and Koh Gen Do, but I needed to find a budget friendly option as I go through a lot of remover with my swatching. I tried both the Sensitive Option and Waterproof Version and think they are both great. The waterproof version is stronger and better for removing darker lipsticks or eyeliner. For my long-wear waterproof mascara it’s not strong enough in which case I recommend you try the Almay Longwear & Waterproof Eye Makeup Remover Pads. It’s the only thing remover that has enough power to actually removes my waterproof mascara these days. I bought this based on reader recommendations and they were 100% right at how effective it is. 4. L’Oreal Color Riche Shine Lipsticks are a close dupe for the YSL Rouge Volupte Shine Oil in Stick. When I read others claiming this I was skeptical. I did not think it was possible! I bought a few shades and really like them. I was then sent the entire lineup for review. After testing them I do not think they are 100% identical but they make for an impressive cheaper alternative. The L’Oreal Color Riche Shine Lipsticks have the same balmy feel, comfortable wear and nice shine. I actually like them a little bit more because there’s less slip to them so they adhere better to the lips. They do have a completely different scent, the L’Oreal ones have that super sweet candy like scent. There are a couple colors that apply patchy because of how pale they are in comparison to my natural lip color, but most of them are solid wins. The only two iffy colors are Shining Peach and Dewey Petal for me – they run really pale. 5. L’Oreal True Match Lumi Glotion is something I would call a dupe for the Charlotte Tilbury Flawless Filter. This comes in four color options, Fair Glow, Light Glow, Medium Glow and Deep Glow. This is similar in concept to the Charlotte Tilbury product because the Lumi Glotion can also be worn alone, under makeup, to highlight or bronze. It has a subtle luminous glow that you can see on the skin but it’s not overly shimmery or frosted. I do think the color range differs for the deeper shades. If you’re fair to medium the colors are close. I like either Light or Medium to highlight and Deep works as a slightly deeper bronze shimmer. That wraps up my first Budget Beauty Buys and Tries roundup! I’ll be incorporating 1-2 roundups per month. Let me know in the comments if you’ve tried any of these and what your thoughts were. I’d love to hear your thoughts. Also if you have any dupe requests please leave a note in the comments and I’ll try to do some research for the next round. I buy these brands primarily at Target, Ulta Beauty or CVS. 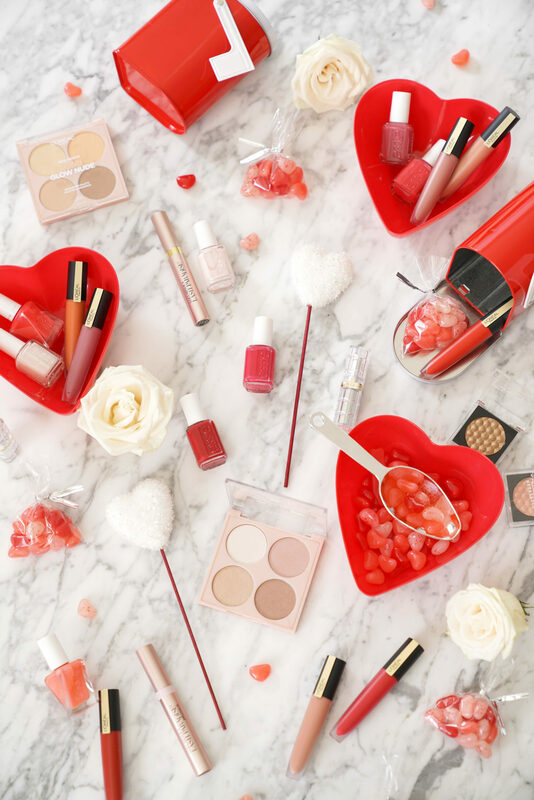 If you have a go-to destination for budget beauty shopping I’d love to hear in the comments! 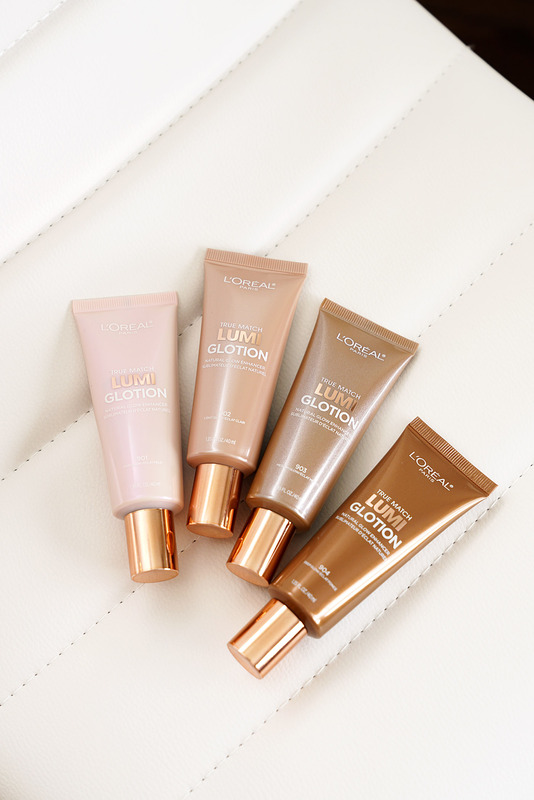 L’Oreal True Match Lumi Glotion and Color Riche Shines provided as press samples. L’Oreal Lash Paradise initially provided as a sample, but I’ve since repurchased it on my own many times.